Daktronics deploys new generation of narrow pixel pitch product line. 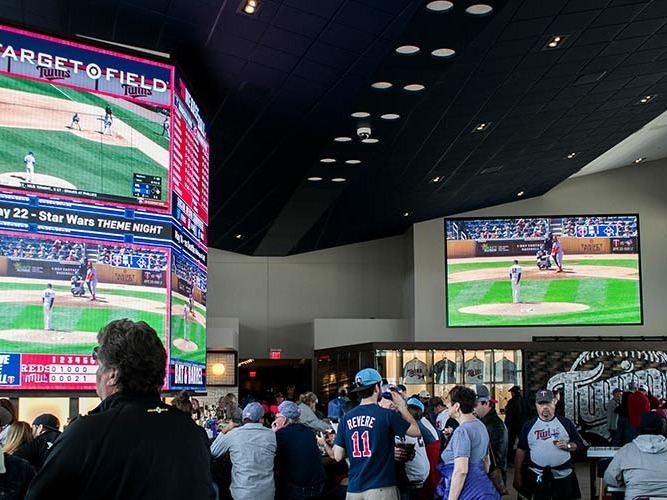 Daktronics of Brookings, South Dakota, has launched a new generation of the company’s narrow pixel pitch product line including pixel pitches of 1.2, 1.5, 1.9 and 2.5 millimetres. As AV integrators are increasingly adopting LED video technology as a viable alternative to LCD technology, this product line brings an easy installation option to the market. “To capture a larger share of the growing high-resolution business, we’ve launched our new narrow pixel pitch product line to meet the needs of our customers in indoor applications,” said Daktronics President and CEO Reece Kurtenbach. With this new generation, Daktronics has developed a patented module access tool for easier and service friendly installation. The magnetic tool can be engaged and disengaged easily to preserve the integrity of the display face and LEDs during installation and service, a unique aspect of Daktronics technology which greatly reduces installation time and issues surrounding the initial display launch. Daktronics leveraged 20 years of experience with indoor LED video technology to create this new generation of product which brings higher brightness to ensure a crisp, vibrant image when installing in areas receiving more natural and ambient light. It also features improved reliability compared to current industry standards. Assembly of the new product line from component level to final assembly, including any technical service or parts support, takes place in Brookings, South Dakota.